Protein is made up of 20 amino acids, the building blocks of muscle. It's the most important macronutrient for lean muscle repair and growth. Proteins are in our tissues, cells, glands, organs, hormones, and even bodily fluids. Protein can mean many things, but here, we're mainly concerned with dietary protein and how it relates to health, building muscle, and weight loss. Help repair damaged cells, tissues, and structures. It has a hand in the growth and development of nearly every living being. Gives collagen and keratin in skin, nails, hair, and bone their unique structure. Gives collagen in bone and skin its elasticity. Serve as chemical messengers, via hormones. Regulates vascular system fluid levels. Helps maintain pH levels in bodily fluids. Although we suggest getting a majority of your protein from food, for some people, it can be difficult to get the recommended daily allowance (RDA) without supplementation, especially when trying to build muscle. Whey is found in milk, absorbs quickly, and doesn't stay in your body long, making it a good choice after a rigorous workout. Thanks to whey's typically high levels of L-leucine, an amino acid, it is anabolic and promotes muscle growth more than other type of protein supplements. This protein dominates milk, and is a good meal replacement choice. You can also take it before bed. It's slow to absorb and stays in your body longer. This is a plant-based protein. It's used for meal replacement, as a source of antioxidants, and is easily digestible. Some studies have shown that soy may affect hormonal balance. Research has also demonstrated that it can lower testosterone levels in men. [16, 17, 18] Because of this, we do not recommend soy protein or soy protein isolate for most individuals. This fat-free and cholesterol-free protein is found in egg whites. t's also rich in potassium, which aids muscle contraction. Egg protein helps repair muscle after a workout. It absorbs quickly and is easily digestible. Egg protein contains all essential amino acids. Bulk egg whites are an incredible diet aid. You can purchase bulk egg whites here. Rice protein comes from brown, white, and whole grain rice, and is easy to digest. Rice protein is packed with nutrients, including essential amino acids, fiber, carbohydrates, and vitamins B and E. It's free of fat, cholesterol, sugar, and salt. This protein comes from milk and is slow to digest. Over time, it helps build and preserve muscle. Milk protein contains all essential amino acids and includes both whey and casein forms. Hemp protein has a desirable fatty acid ratio, with lots of omega-3 fats, making it healthy for cardiovascular health. Proteins are the building blocks of muscles, and amino acids are the building blocks of protein. These can't be made by the body, so you need to get them from food. The first three of these are the branched-chain amino acids, or BCAAs. They are the most important amino acids for muscle repair and growth. Of the top three, L-leucine is critical for muscle growth and repair. The ingredients label on your protein powder should state how much leucine it contains, and it should not be one of the smaller numbers in the amino acid breakdown. The body makes nonessential amino acids from essential amino acids and from protein breakdown. These amino acids are essential when illness or stress strike. Be wary of protein supplements that include glycine and taurine. Because they're so inexpensive, they're often used to bolster protein content, which will be inflated on the label. Avoid products that list these as an "added ingredient." It's possible you're being ripped off and not getting the true dietary amount of protein. Your daily diet should consist of anywhere from 10% to 40% protein. This is an extremely vague amount because it depends on what your unique dietary needs are and if you're in training or have a regular exercise routine. For athletes, the amount of protein required depends on your age and reason you're consuming the nutrient. The amount you need will always be based on your weight. When in doubt, consume 1g of protein per pound of bodyweight each day. As long as you're at a healthy weight, you can't go wrong starting here. Other sources put the general range for protein intake for exercisers at 1.4g to 2g per pound of body weight, with endurance athletes requiring 1g to 1.6g per pound, depending on exercise intensity and duration, plus the athlete's training status. Strength and power athletes need 1.6g to 2g per kilogram. We highly recommend using a food scale and a calorie counting app to help achieve your goals. Again, the safe number for most people is 1g of protein per pound of bodyweight, every day - even rest days. Space it out throughout the day, and get your protein from food and supplement sources. Vary your diet to get a broad range of amino acids. For a 160-pound male, consuming 175g of protein daily is not as easy as it may seem. Consistency is key. Build your diet around that number. This is where protein supplementation comes in handy. If you are seeing decent muscle-building results, and want even more, you can add more protein, carbs, and some saturated fats. It's the serious athletes and weight loss dieters that really need to focus on getting more of the nutrient. While we've talked about several benefits above, specifically in terms of building muscle, there are even more. Protein builds and repairs tissues. Amino acids provide quick energy when carbohydrates and fats aren't available. Reducing calorie intake to facilitate weight loss may necessitate higher protein intake since you may not have enough carbohydrates and fat to provide needed energy. Be sure to eat enough complex carbs and healthy fats, which will help prevent protein sparing. Satiety: Protein boosts the feeling of satisfaction (i.e. feeling full) that may reduce total calorie consumption. Thermogenesis: Thermogenesis is the generation of body heat. Protein tends to increase it, thus, positively affecting satiety and energy expenditure. Fat-free mass growth and maintenance: Protein promotes slow muscle growth and maintain muscle over time. The key to weight loss, in general, is taking in fewer calories than you burn. However, we are more concerned with fat loss, which requires a shift from processed carbohydrates to natural proteins, fats, and vegetables. Although replacing a meal here and there with a protein shake may help cut calories and lead to weight loss, if you make a habit of this, you'll be missing out on important micronutrients that whole foods provide. Protein still contains calories, and consuming too much can lead to weight gain and fat storage. If you fill up on protein, you may skip eating vegetables and fruits that are also required for optimal health. Excessive protein consumption may alter hormones and hormonal responses. The hormone leptin plays a role in helping you to curb excess eating. Stick to a balanced, healthy diet that includes fruits, vegetables, healthy fats, and lean protein, and get regular daily exercise to aid weight loss. One popular study demonstrated that consuming a whey protein shake before breakfast can promote fat loss, due to its ability to curb appetite, specifically fat-inducing carbohydrates, such as cereal grains. Happens when you don't get enough protein, or energy in the form of carbohydrates and fats. Can occur when you don't get enough quality or absorbable protein. Too much protein can cause kidney function complications, especially in people with kidney difficulties and diabetes. It can also cause excessive calcium loss via urine, which can lead to osteoporosis, especially in women. There are many forms of protein powder, but the most common are whey, casein, and soy. Powders provide complete protein. Plus, they're convenient and easy to digest. Protein shakes are available in a variety of combinations containing protein, carbohydrates, and fats. Some have protein while others are high in carbohydrates. They are available in powder form and ready-to-drink, in a variety of flavors and forms. Shakes are often used by athletes following their workouts for the purpose of restoring energy. Some benefits of protein shakes include helping the body recover from rigorous exercise. Protein can also replenish muscle glycogen stores in endurance athletes and repair muscle damage that occurs during bodybuilding exercises. It's unnecessary to supplement your diet with protein powders and shakes if you eat a healthy, balanced diet that includes fish, chicken, meat, and dairy. It's important to separate the side effects of consuming low-quality meat from the side effects of protein. This is a distinction that is often over-looked. The objection most frequently given for protein supplementation is that it's bad for the kidneys. This is one of those things that is now in the territory of, "If people say it enough, it must be true." This claim is one of the most baseless old wives' tales in the industry. High protein supplementation led to still-normal clearance rates of creatinine, urea, and albumin. Protein under 2.8g per kg (a whopping 6g of protein per pound of bodyweight!) did not impair renal function in athletes. A meta-analysis showed that healthy individuals have no adverse reaction to additional amounts of protein. When given extra protein, adaptive processes likely occur in the body, yet are within normal function. This study essentially states that no research has provided evidence that protein can damage health. However, the meta-review does not prove it's healthy, either. It simply has not shown protein to interfere or damage renal health. Further, it does not recommend any type of dietary restriction. Excessive meat consumption, especially grass-fed beef, can lead to high cholesterol, gout, and kidney problems. To reduce cholesterol irregularities, limit fatty cuts of meat, processed lunch meats, liver, egg yolks, and duck. If you are eating whole eggs as a primary protein source, you will be taking in additional cholesterol and fat. Whether or not that is bad for you is debated often. A diet high in cholesterol can boost LDL "bad" cholesterol levels. Nuts and seeds are good sources of protein, but steer clear of added salt. Do not consume whey or casein protein if you have a dairy allergy or intolerance. Healthy, non-athletic individuals with a proper diet rarely need supplemental protein. [1,2] Be sure to read the label on all protein supplements to make sure they contains the right ingredients in the amount you need or desire. Protein is expensive, and prices are always rising. You can see product listings here at PricePlow and save from 30% to 50% off retail prices. Plus, be sure to check our price-reduction updates each day. There is no "best protein." In general, we are fans of whey protein and whey protein isolate products. We especially like MTS Nutrition Whey Protein for regular whey protein. If you're lactose intolerant, we suggest trying IsoFUEL or Dymatize ISO-100. If you're vegan, vegetarian, or don't eat dairy, consider pea or hemp protein, which we believe are the next two best types of protein. 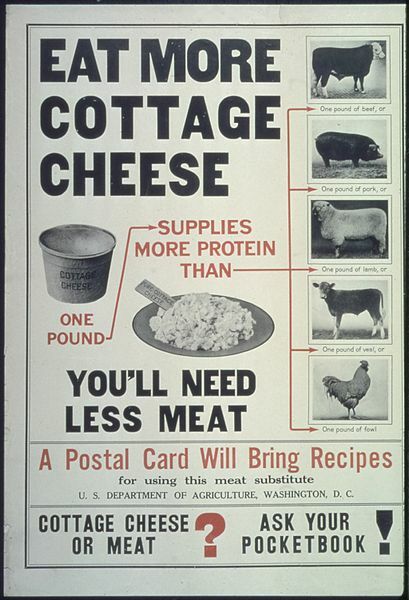 ChooseMyPlate.gov; "Why is it Important to Make Lean or Low-Fat Choices from the Protein Foods Group?" Neil Osterweil; WebMD; "The Benefits of Protein"
Montana State University; "Sports Nutrition: Protein Goals"
Muscle Pharm Protein Cookie was created. MHP Fit & Lean Plant Protein was created. Vaxxen Labs Keto1 Protein was created. Redcon1 Green Beret was created. Relentless Meal Replacement was created. Ultimate Nutrition Clean Whey was created. Orgain Organic Superfoods was created. Nature's Best Plant-Based Protein was created. Ryse Supps Loaded Protein was created. VMI Sports Protolyte Natural 100% Isolate was created. Nugo Deliciously Baked Cookie was created. Greens Plus Protein Bar was created. Think Thin Protein Nut Bar was created. Olympian Labs Pure Smoothie Mix was created. D's Naturals No Cow Cookie was created. D's Naturals No Cow Energy Bar was created. CytoSport Sleeping Giant was created. Freezinda Protein Powder Frozen Dessert Mix was created. Insane Labz Quantum Protein Project was created. FinaFlex 100% Keto Food was created. Jillian Michaels posted another "anti-keto" video on Big Think's YouTube. PricePlow's Mike Roberto explains what he thinks is REALLY happening. The Genius Brand Vegan Strong was created. Detour Lean Muscle M&M’s Bites: Mini Candy Protein Bars! Detour is partnering with M&M's to create a new series of Protein Bar Bites with the famous chocolate candies: Detour Lean Muscle Bites with M&M's! Detour Lean Muscle Bites was created. Greens Plus plusshake was created. Steel Supplements Veg-Pro was created. Pure Vita Labs Plant-Pro was created. Atkins Endulge Clusters was created. Atkins Snack Bar was created. Atkins Meal Bars was created. Nature's Plus Spiru-Tein Junior was created. Pure Protein Super Food was created. Julian Bakery Paleo Thin Protein Bar was created. Optimum Nutrition Protein Wafers was created. Jarrow Formulas Beyond Bone Broth was created. Everlast Vegan Protein was created. Amazing Grass Sport Superfood was created. Amazing Grass Protein Superfood Bar was created. MTS Nutrition Outright Protein Wafer was created. Sparta Nutrition Protein Bar was created. Zoller Labs Zantrex Fat Burning Protein was created. Myprotein Chocolate Protein Balls was created. DAS Labs Keto Protein was created. Run Everything Labs Plant-Based Protein was created. Muscle Pharm Crisp Protein Bar was created. Met-Rx Cookie Bites was created. Nourish & Bloom Whole Food Shake was created. My Protein Bites Cookie Bites was created. Orgain Orgain Bar was created. EVLution Nutrition Stacked Plant Protein was created. Garden of Life Raw Meal was created. Nature's Plus Source of Life Garden VPM Vegan Power Meal was created. Natural Factors PGX Satisfast - Whey Protein was created. Nutrition 53 Lean 1 Plant-Based was created. Nutrition 53 Lean1 Natural was created. Lenny & Larry's The Complete Crunchy Cookie was created. Vega Clean Energy was created. Bodybuilding.com Signature Protein Crunch Bars was created. Fortified Nutrition Perfect Blocks was created. MPA Supps Pie Fuel was created. FortiFX Fit Elite Bars was created. Vegun Nutrition VeganMass was created. Olympus Labs Superior Protein Muscle Building Edition was created. Olympus Labs Superior Protein was created. My Protein Bites Interview | WHO ARE THESE GUYS? Nature's Plus Spiru-Tein Sport was created. Onnit Protein Bar was created. Thorne Research MediClear was created. Thorne Research MediPro Vegan was created. Thorne Research MediClear-SGS was created. MTS Nutrition Outright Bar was created. Ghost Vegan Protein was created. Buff Bake Protein Sandwich Cookie was created. BODYSTRONG 100% Veggie Protein Natural was created. Universal Animal Meal was created. Sun Warrior Sol Good Organic Protein Bar was created. Sun Warrior Classic Protein Plus was created. Organic Food Bar Organic Kids Bar was created. Orgain Organic Protein & Greens Plant Based Protein was created. Novo Nutrition Protein Wafer was created. Garden of Life Sport - Organic Plant-Based Protein was created. Garden of Life Sport - Organic Plant-Based Performance Protein Bar was created. GNC Wheybolic Alpha was created. Gatorade Whey Protein Recover Bars was created. ZonePerfect Revitalize Nutrition Bars was created. PEScience Select Protein Bar was created. BodyLogix Vegan Protein was created. BodyLogix Women's Natural Protein was created. Adaptogen Science Tasty Crunch Bar was created. Weider Weider Prime Plant Protein was created. Win a Vaxxen Labs KETO-1 and Leftovers Stack! Win a keto super stack from Vaxxen Labs via PricePlow! This is our chance to try the KETO-1 ketone-based energy drink and carb back up with LEFTOVERS! Redcon1 MRE Lite was created. Primeval Labs Protein Coming… with MASSIVE Cereal Chunks?!?! A Primeval Labs Protein Powder is coming... and from what we've seen so far on Instagram, it looks like FULL chunks of cereal are inside! Sparta Nutrition Spartan Whey was created. Universal Animal Snak Bars was created. Sinister Labs SinFit Bar was created. The Protein Cookie Company Protein Cookies was created. Apollon Nutrition 50/50 Formula X was created. Think Thin Protein Bar Review? Think LEMON! Muscle Elements TRUTH Protein Review: No Artificial Sweeteners! 5% Nutrition Contest Prep Meal Plan – Get Stage Ready with Rich Piana! In contest prep mode and need a meal service to deliver to you? Rich Piana has the 5% Nutrition Contest Prep Meal Plan for you then! Rich Piana’s Keto Diet Meal Plan: But is it Truly Keto? Rich Piana's 5% Nutrition Keto Meal Plan is out -- and it's got some great meals and a couple of duds that have already been replaced. But is it KETO? This bodybuilding meal plan by Rich Piana and 5% Nutrition finally brings us a HIGH-protein lifestyle with high quality nutrition that's affordable! Kevin Love's Diet has helped him lose weight, but we postulate that it's also hurting his athletic performance for the Cleveland Cavs. Read why. The Gudpod machine is the fitness enthusiasts answer to the Keurig coffee maker that contains and mixes all your supplements in the glass for you. Rich Piana’s Meal Plan: Killer Meal Delivery for Less! Rich Piana and 5% Nutrition Meal Services are coming! They're coming out with their own line of healthy, and affordable, home delivery meals. So Christmas is over for another year, and you may have found yourself once again faced with the classic post-holiday dilemma... eggnog protein?! Cinnamon Protein Bagels are here using @PEScience Select Protein thanks to Dylan @Driven2Lift - See Dylan's Recipe here on PricePlow's Blog! Dylan's Select Apple Cider Protein Donut Recipe is a high protein donut recipe that uses PEScience's Select Protein! Magnum Quattro Certified Spike-Free, Clean Protein! Magnum Quattro protein powder has passed independent third-party testing claims, and is now PricePlow approved for quality and effectiveness! Protein Beer – (Try to) Keep Your Gains this Weekend! Protein Beer is coming to the masses from Supplemental Brewing with two different brews that let you indulge in alcohol without ruining your gains. A Soylent Lawsuit may possibly be underway due to the Soylent Proposition 65 Labeling in California. But is this real cause for concern? We diagnose. Muscle Elements' TRUTH Protein Powder lab tests are out, and it not only made label claims - it BEAT them. See the data here! Mile-HIGH Protein: Are THC-Infused Protein Shakes Coming? A company named Biohacker Industries is attempting to get crowdfunding for a THC-infused protein shake named Mile High Protein. Our thoughts inside. Quest Protein Powder is Here… and the Price is Right! Deal Alert STEAL Alert: 4.5lbs ABB Pure Pro for $17.90! We've found an insane deal on ABB Pure Pro - just $17.90 for 4.5lbs of protein, which equates to nearly 65g protein per dollar! Nature Sport Protein is the all-natural, organic vegetable protein powder that is coming soon from the team at MusclePharm. Get alerts on it here! Myofusion Advanced Review – Smoothest Chocolate Yet? Mike's Myofusion Advanced Review (for chocolate) digs into the taste, ingredient profile, and mixability in water, milk, and oats. One word: WOW! Combat Crunch Bars - Protein Bars are finally coming from MusclePharm! We'll examine the ingredients and provide links to the best deals here! One of the best protein deals of the year - 9lb ABB Pure Pro is available for $49.95 with FREE Shipping this week. Mix and match chocolate & vanilla! A few untrained engineers are creating a product to replace your ENTIRE diet. We analyze the ingredients and conclude: this is going to hurt someone. MHP Paleo Protein is.... not so paleo? We look at the protein sources and why there's MALTODEXTRIN in here. Paleo dieters will likely be unimpressed. Sign up for future Protein news! Click the button below to sign up for future Protein news, deals, coupons, and reviews! Sign up for future Protein deals and coupons! Click the button below to sign up for future Protein deals, news, and coupons! Oct 07, 2018My Protein Bites Interview | WHO ARE THESE GUYS? Jul 02, 2018BSN Syntha-6 + Cold Stone Creamery Review | NAILED IT! Mar 02, 2017Think Thin Protein Bar Review? Think LEMON! Feb 09, 2017Muscle Elements TRUTH Protein Review: No Artificial Sweeteners! Subscribe for more Protein news and alerts! Subscribe to PricePlow on YouTube or click the button below to sign up for our latest Protein news and reviews!